Marco Bordogni (1788-1856), a celebrated tenor of the early 19th Century, wrote these vocalize during his later career as a voice teacher. Transcribed and adapted by Joannes Rochut, these three books of studies are one of the cornerstones of trombone repertoire. 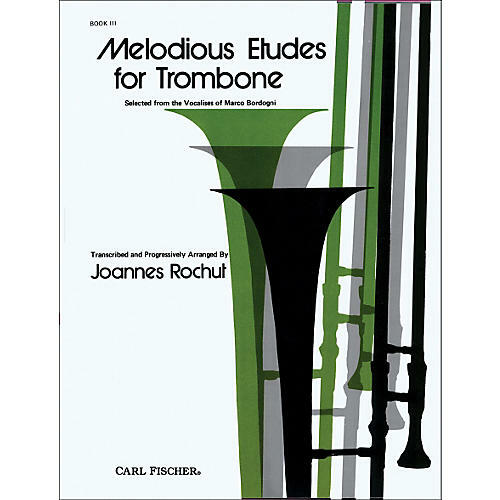 Presented in a logical pedagogical sequence of etudes in the easiest keys and simple rhythms to the more challenging and elaborate studies that occur later in the books, these books are a must for any student of the trombone.